Have you ever heard a song and it sounds like a memory? Well that is exactly how Club Called Awesome! by The Singing Lizard is to me. I was born in the late 70s so I'm really a child of the 80s and this album reminds me of the music we listened to as a kid back then. Of course it has a bit of a modern twist but this upbeat and energetic album is a bit of a flashback to sweeter times! 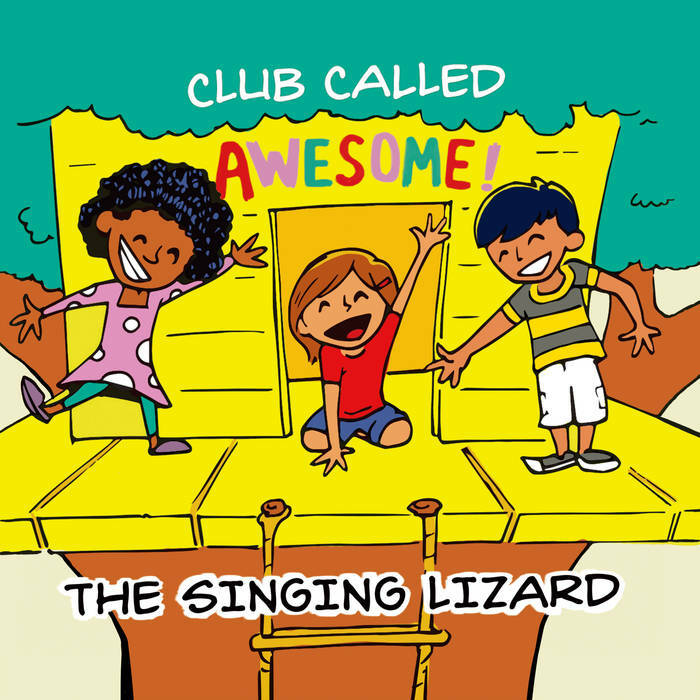 Club Called Awesome will be available on iTunes, Google Play, Amazon, Bandcamp, and at The Singing Lizard's live shows. Visit The Singing Lizard's website HERE. The Singing Lizard on Facebook. The Singing Lizard on Twitter. The Singing Lizard on YouTube. I simply loved this album. It is techo, pop and jazzy all in one. The album celebrates childhood and reassures kids to be themselves and enjoy the time. Songs like Growing Up remind us and our kiddos about all they can do. Show Me Your Happy explorers happiness and sharing that vibe. This album is pure, clean fun. I feel like I should put on a pair of jellys (shoes) grab my cassette recorder and best friend, go outside and lay in the grass to listen, dance and sing along! This modern approach to classic sounds of the past is a pure treat! 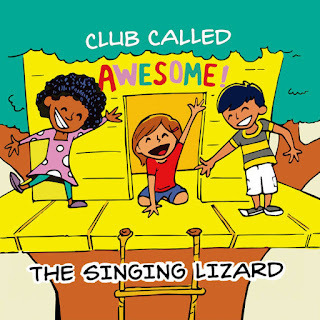 One lucky reader will win a copy of Club Called Awesome! I noticed that they have all sorts of upcoming shows and different music listed on their site. I learned that Liz DeRoche started playing piano and drums when she was just four years old! I learned that in 2010, Liz (The Singing Lizard) followed her dream of working as a full-time musician and founded her own independent record label (AlphaBeat Records).